Europe (excluding UK) 56%, United Kingdom (UK) 22%, Americas 21%, Asia 1%. 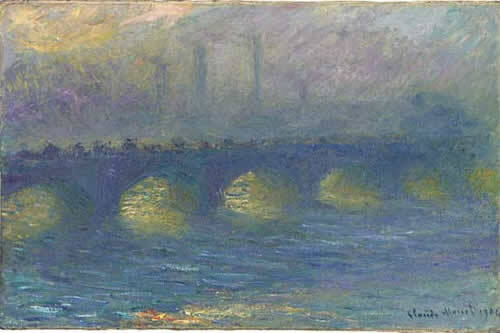 ‘Waterloo Bridge, temps couvert, 1904′ by Claude Monet (1840-1926) was the top lot of the evening was which sold for Â£17,940,000/ $35,539,140 / â‚¬26,497,380, the second highest price reached for a Monet in Â£ Sterling at an auction & the highest ever Dollar $ price. â€œThis eveningâ€™s sale at Christieâ€™s was a landmark event in the history of the art market, realising the highest total for any auction ever held in Europe. The international art market congregated at Christieâ€™s saleroom in London this evening as an ever increasing international group of collectors fought for the exceptional selection of works. The top work of the sale was bought by a private American collector, with 6 of the other top 10 works were won by private European collectors. 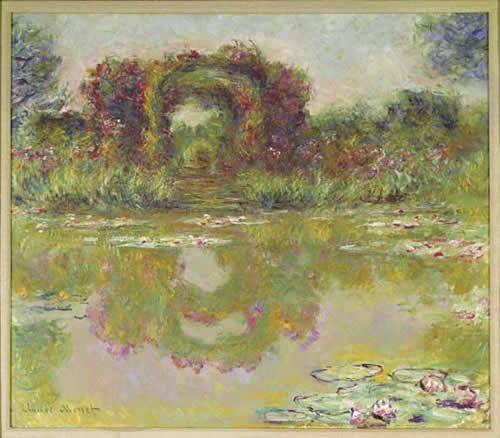 The above painting: â€˜Les arceaux de roses, Giverny (Les arceaux fleuris)â€™ by Claude Monet was lot 11. Painted in 1913, this oil on canvas is 32 Â¼â€™â€™ x 37â€™â€™ inches in size and was estimated at Â£9,000,000 â€“ 12,000,000. In the end it sold for a staggering: Â£8,980,000/ $17,789,380/ â‚¬13,263,460.